Two days workshop for students of Transdisciplinary New Media department. Artists and designers today, redefine our relationship to the environment by imagining new types of interfaces through analog and digital materials. One of the fields is focusing on the combination of electronic and textile which opens a new relation with technology and new forms of interactions. Breaking the paradigm of the electronic hardware, the new range of smart textiles, and conductive threads, allows creators to make soft circuits differently and open alternative possibilities for creation. 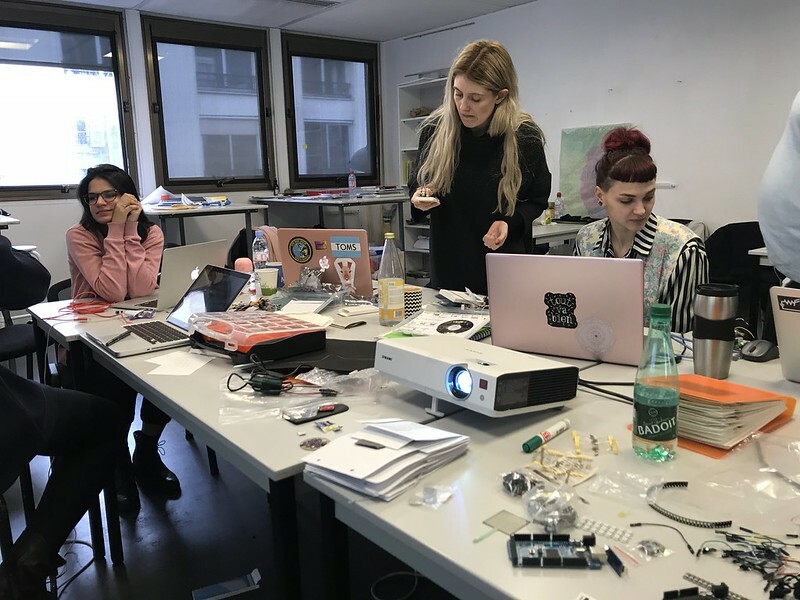 During the workshop, students will discover the universe of electronic textile and a new range of material and techniques to imagine and create new soft interfaces. More informations on the website of the workshop.